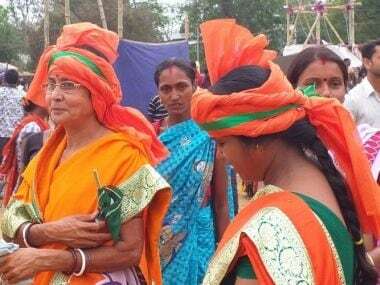 Midnapore: A makeshift tent collapsed at the venue of Prime Minister Narendra Modi's rally on Monday when he was midway through his speech, injuring 67 people including 13 women, officials said. The tent was erected next to the main entrance of the rally venue to shelter people from the rain. The prime minister saw the tent collapsing during his speech and immediately instructed special protection group (SPG) personnel standing near him to look after the people and attend to the injured, officials said. P Kundu, principal of government-run West Midnapore Medical College and Hospital, said that 67 people including 13 women were admitted after the incident but no one was seriously injured. 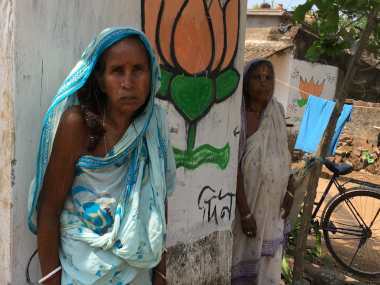 The local BJP unit as well as Modi's personal staff, including his doctor and SPG personnel, swung into action to help the injured, officials said. Modi also visited the injured at the hospital later. Many enthusiastic BJP supporters had climbed the makeshift marquee during the rally. The prime minister briefly stopped his speech and was heard repeatedly asking them to get down, officials said. Eyewitnesses said that some people clambered on top of the marquee, which was covered with tarpaulin. The structure could not withstand their weight and collapsed leading to several in the gathering, including women, being injured, they said. They said that it could have been a major accident. A BJP functionary said the injured were taken to hospital by the ambulance in the prime minister's convoy. After addressing the rally, the prime minister went to the hospital and spoke to some of the injured. A woman who was injured asked for an autograph when the prime minister visited the hospital and he obliged, officials said. Continuing his speech after the tent collapse, Modi complimented the people in the rally for showing discipline and helping out the injured. "Even after the tent collapsed, the people present there helped others. No one fled. They maintained discipline." 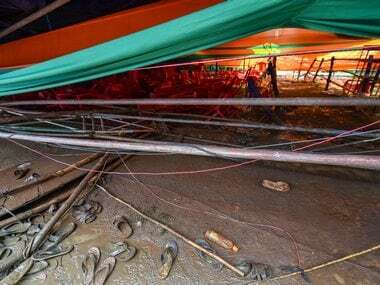 When asked about the accident, BJP national secretary Rahul Sinha said that the poles of the tent fell as the ground was completely wet after the rains. Also, many people climbed atop the tent which could not take their weight. He said police and local security personnel should have been more careful and should not have allowed supporters to climb the tent. 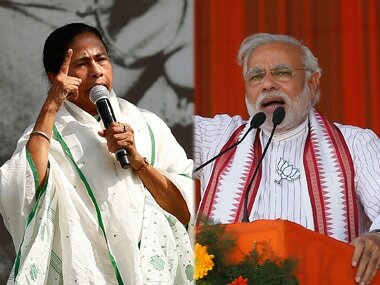 Chief minister Mamata Banerjee said that the state government would provide all medical assistance to those injured in the rally. 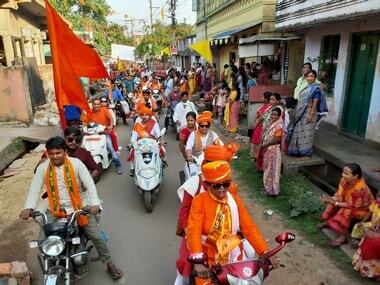 "We pray for the speedy recovery of all those injured at the Midnapore rally. The government is giving all help for medical treatment,"